If you know anything about Cassie you know that she’s no stranger to a pair of cowgirl boots and going above and beyond for her couples! From the mouthwatering Habit Burger Grill food truck, endless fluffy churros, to the beautiful, warm, sunny day, Tyler and Jessica’s storybook wedding in Horsetown USA was one no one will forget anytime soon! This wedding was about the little things. The little things that gave insight into the bride and groom’s personalities, likes, and love story. The hints of Disney dreams, a country life, and elegance, were perfectly tied together in their ceremony at Hillside Farm. Jaws dropped when Jessica walked out to her song, “Kiss the Girl”, looking gorgeous in her beautiful dress and veil accustomed with small jeweled hearts! A short and sweet ceremony was the most perfect start to their love filled fairytale wedding day. Guests then made their way to the George Ingalls Equestrian Event Center in Norco, CA, where the country fantasy continued. Meanwhile behind the scenes Cassie, the amazingly dedicated and hardworking wedding coordinator that she is, was running around making sure the couple’s big day was going as smooth as ever! Since the ceremony and reception were at different locations it was an extra pressure on Cassie and her staff to make sure everyone and everything were in the right place at the right time. Cassie hopped fences, literally, to ensure that the bride got everything she wanted! Jessica and Tyler’s day was captured by Stevie Dee Photography so we had the dream team together for this beautiful night! The reception hall ceiling and walls were adorned with string lights to give the space a romantic and country feel. The bails of hay set at the entrance were hints of the groom's personality and the couple’s new life together. 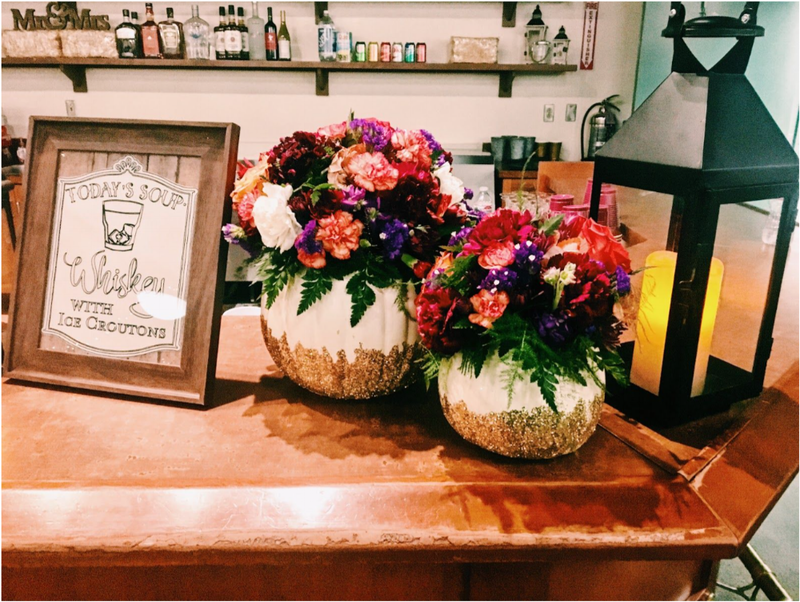 We placed floral, photos and other fun decor items on them to add to the decor of the event. The entire day was filled with love and magic! All of us here at Classy Kay Events wish you both a lifetime of love and happiness. Chelsea and Andrew said their "I Do's" at the beautiful Quail Haven Farms on June 3, 2016. I was so honored to have been apart of such a beautiful day and as Chelsea took her moms hand and headed toward the aisle and to her happily ever after, I couldn't help but tear up. Through the planning process we all had built a relationship and seeing them so happy on their wedding day made me feel filled with joy. The day went perfectly. The ceremony started on time, guests enjoyed the service because the officiate spoke so beautifully of them and their love. There were tears, laughs, smile and tissues! The bride and groom shared the most moving vows about how they meet, fell in love, struggled, survived and how it was all worth it! About 20 minutes before the ceremony started, a family friend arrived with the appetizers for cocktail hour and cookies for the milk and cookies bar in the reception. Once we unloaded we realized we were missing about 75% of the appetizers and the milk for the "milk and cookies" bar. As soon he told me he forgot the other appetizers and milk in the fridge over an hour away I turned to my assistant and asked "How do you feel about going for a ride?" I was so lucky to have her that day, I couldn't leave to get more appetizers and milk because the ceremony was going to start in 10 minutes but she rushed to my FJ Cruiser and headed to the closet market. With 2 minutes to spare my super hero of an assistant came back just in time for guests to head to the cocktail hour, appetizers and drinks waiting for them! We added the milk to the "milk and cookies" bar and the bride didn't even know anything went wrong. From the centerpieces to the dinner, dancing and goodies, the bride and groom couldn't of been happier for the way their day turned out. After so long of planning, Chelsea could finally sit back and relax, enjoy the drinks, music and company of all her closest family and friends. Quail Haven Farms is a venue like no other. The owner, Lindy, was so helpful, sweet and built the most amazing place for couples to join their lives together. The ceremony is placed in a beautiful garden like area surrounded by flowers, trees, and vines that seem to go on forever. The cocktail hour is hosted down some amazing stone steps on a porch covered section on the property that has the most perfect picture taking opportunities. Then the guests head to the reception site that use to be a barn that they opened up for weddings. The whole venue is surrounded by greenery and flowers and gives you the feeling your in Mother Earths private estate. There are horses everywhere and a big red barn to take pictures in front of or in it. The property is like nothing I have ever seen before and I am feel in love with the feel of the venue. Looking forward to going back there soon. The weather out here in Southern California is usually pretty mellow, especially during the Spring, making outdoor ceremony and receptions very common. My Brides love the yard garden at Falkner Winery, who wouldn't want to say their "I Do's" atop a gorgeous lawn with sprawling views of Temecula Valley Wine Country? I met Ashlie during our consultation at Falkner Winery and discussed how she planned every detail for her gorgeous May wedding for over a year! It hardly ever rains here in Temecula, Ca but come May 6, 2016, rain was falling all day long, along with tears from my bride. With the weather report changing by the hour, the uncertainty was enough to make anyone crazy! I wear many hats during the weddings day, but my main goal as a wedding coordinator is to make sure everything runs smoothly and the Bride is happy. With weather threatening to rain out the wedding Ashlie worked so hard to plan, I tried to comfort her and give her alternative options such as tenting the reception, renting heaters and moving the ceremony under the covered patio. Although all these options would work, it was nothing like what she had imagined her wedding day would look like. After a year of planning, every detail perfected in her garden setting, everything changed as soon as the first rain drop fell that day. After bringing her a bottle of champaign to enjoy and try to relax with her closest girlfriends and family I continued to set up. Although this is not how she pictured it, I was determined to make it even more beautiful than she could ever imagined. As soon as everything was set, the music played and it was time for the bride to walk down the aisle. Holding tight onto her dads arm, she would soon see her future husband and the entire event as soon as she turned the corner. I fluffed her dress, fixed her vail, squeezed her hand and told her to go, smile, and live in this moment, because it will fly by too fast. She turned the corner and before she was out of my sight, I saw in her eyes, that she accepted everything; the rain, the changes, the slight disappointment, the uncertainty, and at the moment she was purely happy to marry the man of her dreams! For the rest of the night all she could do was thank me, she loved everything. Her guests were comfortable in a heated tent and the ambiance was romantic. We brought in special lighting she wasn't expecting and the decor made the covered reception personalized to her and her husband. At the end of the event as I was loading everything in her car, she came by and got my attention. She grabbed my hand and told me, "You will never know what you did for me today, I will never be able to thank you enough, you have made a day that I thought was ruined into something more beautiful them I ever thought it could be" and gave me a big hug. At the moment, I started to tear up. I never expected that from her, and it reminded me of why I do this, seeing the overwhelming amount of joy in her eyes made me grateful, humble and happy for this life! Many say rain is good luck on a wedding, and I believe that statement to be true! Congratulations to Ashlie & Kameron McCorry! Your love is one for the story books, so glad I got to be a part of it.